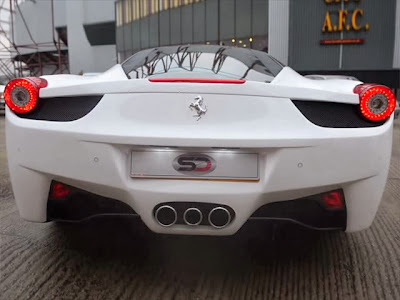 Marchettino - The ONLY official website: A Ferrari 458 V6? Because REPLICA! I'm not a fan of replicas, but I admit this one is very well done. For £35.000 you can fool most pedestrians and drive around town in a replica of a Ferrari 458 based on a Ford Cougar. Forget the performance and engine of the real supercar, this replica hides in the front a 2.5L V6 that produces a not-so-exciting 168hp, with an even less impressive 0-60 mph sprint in 8.6s and a top speed of 140 mph. Having said that, would you be willing to spend that amount of money for a fake supercar rather than a second hand (but real) sports car? A real BMW M3, a Porsche 911 or even a Ferrari F355 rather than a replica sounds like a good deal to me.